An engagement photo shoot near Interlaken with Lauren and Luke. 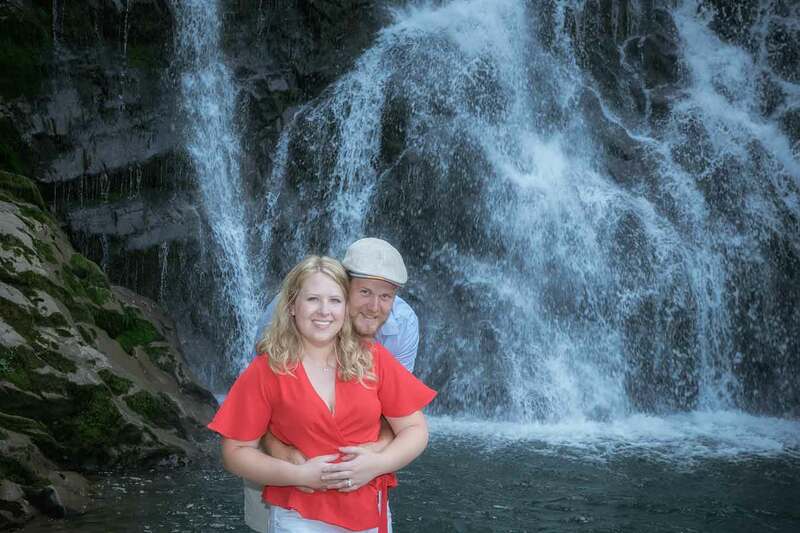 The happy couple live in the U.S.A. Luke is Swiss and grew up in the Interlaken region. He brought Lauren over to Switzerland to introduce to his Swiss family. I have several locations in the region and can offer a waterfall, mountains, lake or a river background. All within a 20 minute car drive. Lucky me! Save the date cards are popular. 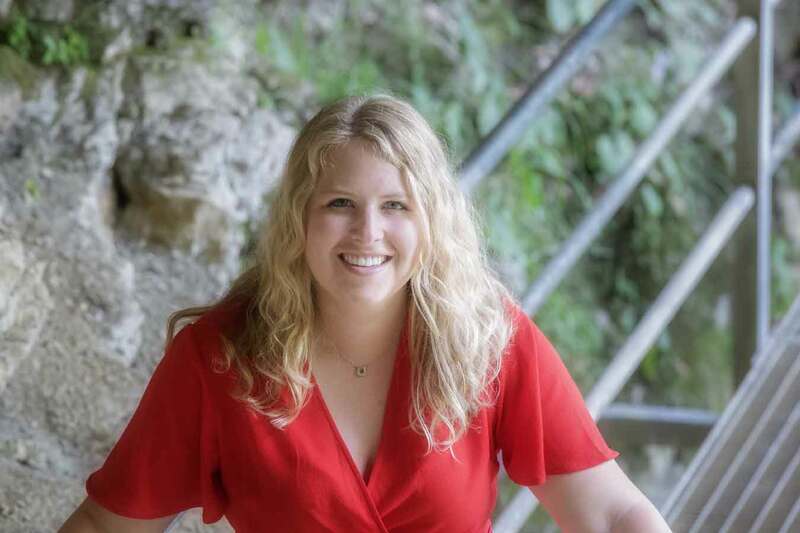 Some of my pictures have space on the left or right side for a “save the date” message. Save the Date engagement cards. Add the date! 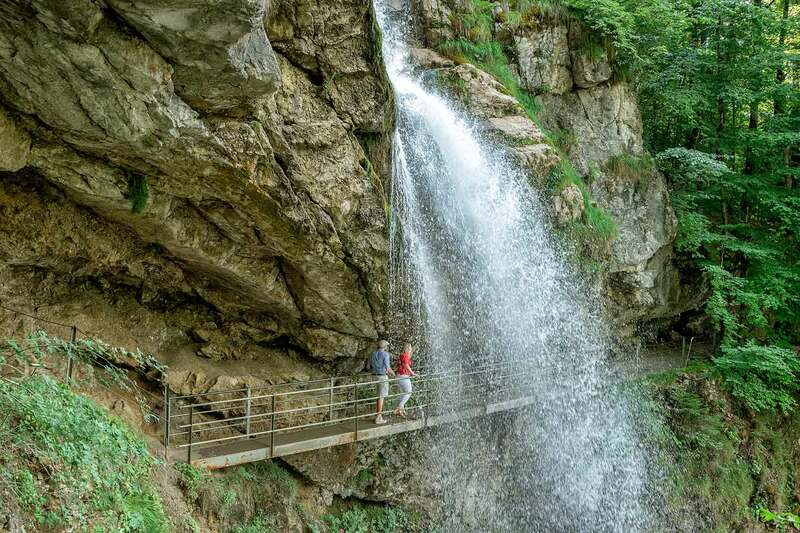 Lauren and Luke walk behind the waterfall in Giessbach. 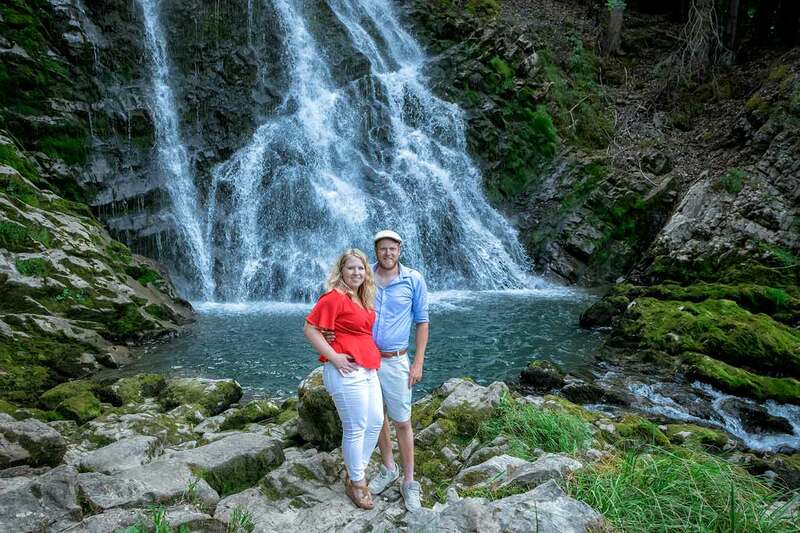 I take Lauren and Jake to another part of the waterfall in Giessbach.